For over 25 years, we have been working with companies of varying shapes and sizes across all industries. But what we are most proud of are the companies that we have watched and help grow over all these years. Some of our clients started in a simple two-person office and have expanded, in just a few short years, into a 20-person custom-designed suite equipped with two of their own private boardrooms. Others have started on our most basic virtual plan only to graduate to a permanent office space within a matter of months to accommodate growing demand. 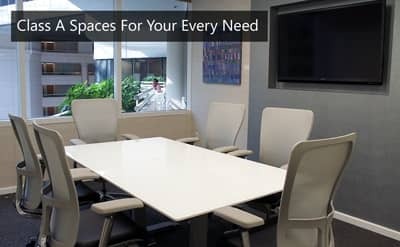 Regardless of your business’s current position, we understand the importance of flexible office space in relation to your company’s unique needs. As your company grows, we are always available to help you adjust the terms of your lease, look into alternative office space options, or even design your own in-house private office suite. 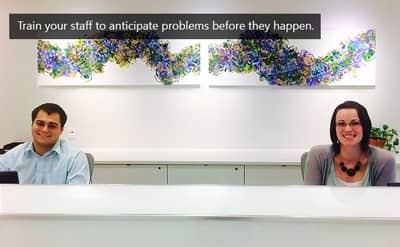 Additionally our Client Services Coordinators can help you with any administrative support you may need when it comes to welcoming new employees such as programming phones, providing keys to your office/building, and offering answers to any questions they may have about our services. 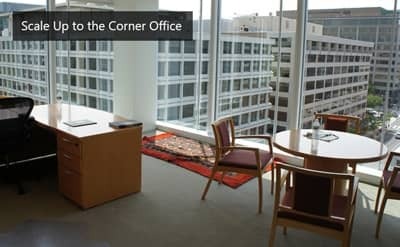 We make sure that all the smaller nuances of your office’s growth are taken care of so that you can focus on your professional development at large. If you’re interested in learning more about how AdvantEdge can help your business’s growth and potential, please click the button below to schedule a tour at any one of our three Washington, DC locations.